Mandarin Oriental Hotel Group has announced that it will manage a new resort and branded residences in Muscat, which is expected to open in 2021. Mandarin Oriental, Muscat will feature 150 guestrooms and suites, five restaurants and bars, a Spa at Mandarin Oriental and an outdoor swimming pool. A variety of banqueting and meeting spaces will accommodate social and business events. The group will also manage 155 Residences at Mandarin Oriental, which will feature some of the most select private apartments in the capital ranging from 75 to 260 square metres. The property will be located on the beach in a prime city location and the low-rise architectural design will take full advantage of the views over the Arabian sea. The developer is Eagle Hills Muscat, a private real estate investment and development company. “Muscat is an entrancing destination with character, charm and an abundance of visitor attractions. We are delighted to have the opportunity to expand our brand presence on the Arabian Peninsula with this exciting project in partnership with Eagle Hills,” said James Riley, Group Chief Executive, Mandarin Oriental. “We look forward to bringing Mandarin Oriental’s legendary service standards to Muscat,” he added. “We are proud to be entering the Omani market, with our first project in the country. As we take this step, we are pleased to be working in partnership with Mandarin Oriental Hotel Group, one of the most prestigious names in hospitality,” said Low Ping, CEO, Eagle Hills. Travelport has announced a new multi-year technology and content agreement with Norwegian travel agency chain, G Travel. With 27 agencies in Norway, six agencies in Sweden and an additional 17 global agencies, G Travel is one of the most expansive travel companies in the Nordics. Aided by a tailor-made solution by Travelport, G Travel consultants will gain access to intelligent, fast and accurate search of high-quality content from over 400 airlines, 650,000 hotel properties, and 35,000 car rental locations. With over 250 airlines signed up to use Travelport’s unique merchandising technology, the company will also benefit from being able to display, gain insights from and sell branded fare families and ancillary products (such as paid seat assignments, baggage fees, priority boarding, etc.) from these airlines. In addition, as part of the agreement, G Travel will use Travelport Business Insights, a cutting-edge data analytics tool that provides near real-time access to actionable insights from a vast range of data sources to help it optimize supplier contracts, enhance customer service and improve operational efficiencies. As the only global distribution system (GDS) provider to be certified by IATA as a “Level 3” Aggregator under its New Distribution Capability (NDC) initiative, Travelport will soon benefit the company further by creating NDC connections with airlines as they become available. 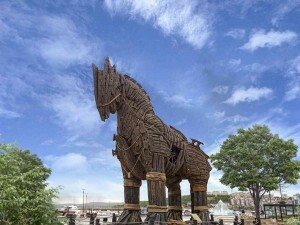 The Turkish Cultural and Tourism Office in Dubai recently launched “The Year of Troia (Troy)” campaign at the Arabian Travel Market (ATM) as part of the Tourism Plan of Turkey – 2023 to expand tourism traffic into the country with a focus on particular areas, such as the country’s north western region surrounding Canakkale province. 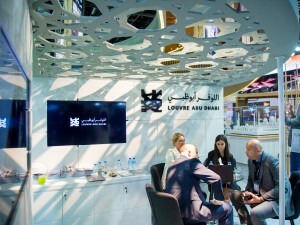 “The importance of the Gulf Cooperation Council (GCC) countries in contributing to Turkey’s growing tourism industry is reflected by the fact that we have over fifty partners from Turkey participating in our pavilion at ATM this year,” said Salih Ozer, Attache of Culture and Information, Turkey to the UAE. In early January, the Turkish government declared 2018 the “Year of Troy” in honour of the 20th anniversary of the ancient city’s recognition as a UNESCO World Heritage Site. It is the historic setting of the Trojan War, described in detail in Homer’s epic poems as “The Iliad” and “The Odyssey.” To mark the occasion, a variety of events are planned throughout the year. The new Troia Museum in western Canakkale Province is expected to draw one million tourists in its inaugural year. The 10,000 square meter museum will showcase archeological findings of the ancient city, including 24 gold pieces known as the treasures of Helen of Troy, which were returned to Turkey from the U.S. after 125 years. Hollywood actors starring in “Troy,” the 2004 blockbuster such as Brad Pitt, Diane Kruger, Eric Bana and Orlando Bloom, have been invited to visit the museum by Turkey’s Tourism and Culture Ministry. A new campaign deal has been inked between Wego and Sharjah Commerce and Tourism Development Authority (SCTDA) for an innovative destination co-marketing campaign to boost tourism in the Emirate of Sharjah. The campaign will promote authentic tourist experiences and hidden gems exclusive to the emirate, enabling tourists to surpass traditional generic pursuits. By showcasing some of Sharjah’s biggest tourist attractions, through innovative online marketing activities, the campaign seeks to position the Emirate as a destination of choice amongst global travellers. Sharjah’s delightful mix of fun attractions, traditional hospitality and old-world charm, which resonate with a variety of audiences from around the world, will be promoted through this campaign. The campaign will focus on promoting the Emirate’s much-loved events and activities such as, but not limited to, the Sharjah International Book Fair, Sharjah Calligraphy Biennial and Sharjah Traditional Crafts Forum. 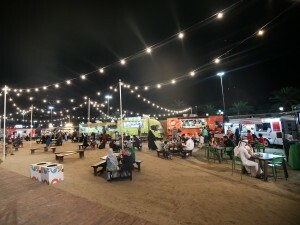 “Sharjah is the perfect Middle Eastern city for travellers who wish to explore a ‘fresh’ destination packed with unique history and rich heritage and traditions,” said Mamoun Hmedan, Wego Managing Director for MENA and India. “In order to boost the emirate’s image as a family-friendly and culturally-charged destination, Wego will harness online tools such as high-impact display advertising, Search Engine Marketing (SEM), and unique content marketing tactics. Together, these digital marketing tactics seek to further strengthen SCTDA’s ongoing marketing efforts,” he added. Innovative Hyperloop connections could reduce travel times between Dubai International Airport (DXB) and Al Maktoum International Airport (DWC) by around 34 minutes in future, according to experts who spoke during a panel discusion on Arabian Travel Market’s Global Stage. Providing a lightening-speed Hyperloop transit system would allow airport passengers to travel between both airports in as little as six to seven minutes – a shorter transit time than travelling between terminals at Dubai International Airport. 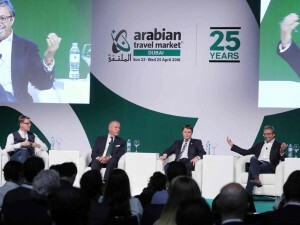 The future of Hyperloop and travel infrastructure in the UAE and wider GCC was discussed at Arabian Travel Market, at Dubai World Trade Centre, during a seminar session entitled ‘Future Travel Experiences’. Virgin Hyperloop One, a futuristic transportation concept through which pods, propelled by magnets and solar, will move passengers and cargo at speeds of 1,200kph, is the most prominent tourism infrastructure development in the UAE at present. Backed by Dubai-based DP World, Hyperloop One has the potential to transport approximately 3,400 people an hour, 128,000 people a day and 24 million people a year. In November 2016, Dubai’s Road and Transport Authority (RTA) announced plans to evaluate a hyperloop connection between Dubai and Abu Dhabi, which could reduce travel times between the two emirates by 78 minutes. The number of guests staying in Abu Dhabi’s 163 hotels and hotel apartments in March reached to 464,960, representing an increase of 12.3% compared to the same month last year, according to a report by the Department of Culture and Tourism – Abu Dhabi . This means that the total number of hotel guests in the first three months of the year was 1,289,537, a year-on-year increase of 10.9% with key international markets registering impressive percentage gains. During the month, the numbers of visitors from leading international source market China increased by 15.4% to number 40,800, Indian guests increased by 32% to number 35,200 and the UK increased by 24% to reach 28,000. Other key markets, notably the United States and Germany, also registered double-digit increases with the US up 29% to 19,300 and Germany rising 36% to 18,800 guests. The figures follow a record-breaking 2017 when just shy of five million visitors stayed in Abu Dhabi city, Al Al Ain Region and Al Dhafra’s range of accommodation. UAE-based guests also increased in March to number 134,631, a rise from March 2017’s total of 130,125. The first quarter of this year has seen China maintain its position as leading international hotel guest supplier, with more than 127,000 Chinese staying in the emirate. Indian visitors have surged past 100,000 and showed a 30% increase. HE Saif Saeed Ghobash, Undersecretary, DCT Abu Dhabi, said, “Our progress in attracting more people to explore the emirate as a visitor destination.Our targeted marketing investment in key source markets is being rewarded with impressive double-digit growth as our global awareness grows and we develop into a ‘must visit’ destination built on unique experiences and rich cultural heritage”. Dubai Parks and Resorts and Dubai Airports have announced a strategic partnership with the aim of creating an unparalleled airport experience while showcasing Dubai’s position as the ultimate tourist and family entertainment destination in the region. The partnership will showcase Dubai Airports’ efforts to make Dubai International (DXB) a destination in its own while promoting the breadth of offer at Dubai Parks and Resorts to the over 88 million passengers travelling through Dubai Airport annually. 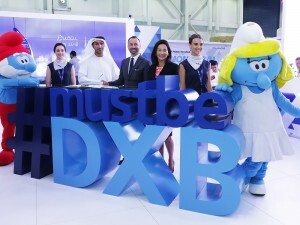 The agreement will see Dubai Parks and Resorts promoted at all DXB concourses with access to over 65 airlines flying to and from over 240 destinations in 170 countries around the globe. Dubai Parks and Resorts will engage and delight airport passengers by providing branded family zones and dedicated retail locations selling Dubai Parks and Resorts products while enticing them to experience the full offer by conducting direct marketing and immersive advertising. Dubai International (DXB), the world’s busiest international airport, recorded a 10% average passenger growth over the past 10 years with 88.2 million passengers passing through it in 2017, and some 90 million passengers are expected in 2018. 2018 is the first full year of operations for Dubai Parks and Resorts and the Company aims to continue growing international tourist visitor numbers to the destination in line with the Dubai Tourism Vision 2020. The first quarter of 2018, set a new record for Dubai Parks and Resorts, with over 850,000 visits to the destination, a 45% increase compared to the same period last year. The AA Al Moosa pavilion welcomed the visit of His Highness Sheikh Humaid Bin Ammar Al Nuaimi of Ajman who was received by Abdullah Ahmed Al Moosa, founder and owner of AA Al Moosa Enterprises, and expressed his fascination by the portfolio and history of the company, and the iconis three upcoming hotels in the Palm. The pavilion drew a large number of visitors and served as a key platform for networking and meetings between government officials, key chain hotels executives, major tour operators, partners and representatives of leading travel and tourism companies. The highlight of the group’s participation was the unveiling of three iconic hotel projects that will be opening on the Palm namely Hilton The Palm, TAJ Exotica Resort & Spa and Marriott The Palm. The hotels with a target opening of 2019 will bring an additional 1,500 rooms and suites to the current inventory of hotel rooms in Dubai and will increase the company’s portfolio to a total of 4730 rooms. In addition to Hilton The Palm, TAJ Exotica Resort & Spa and Marriott The Palm, other hotel properties that the Group currently owned were represented at the show such as Hilton Jumeirah Beach, Hilton Salalah, Hilton Creek, Four Points by Sheraton Sheikh Zayed Road, Four Points by Sheraton Downtown Dubai, Ramada Plaza JBR, Ramada Hotel & Suites Sharjah and Crowne Plaza Muscat.